On June 14, 1864, Lt. Gen. Leonidas Polk was killed at Pine Mountain, Ga. While he was observing the Union’s position with Gens. Joseph E. Johnston and William J. Hardee, a shell fired by federal artillery struck Polk in the left arm, traveled through his body and exploded on a nearby tree. Nearly cut in half, he died instantly. Born in 1806 in Raleigh, Leonidas Polk was the second cousin of James K. Polk, the eleventh President of the United States. 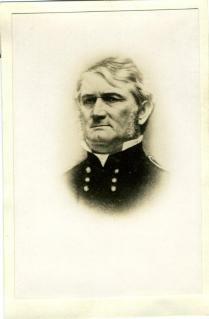 Shortly after he graduated from the U.S. Military Academy at West Point, Polk resigned his commission to attend Virginia Theological Seminary. He became an Episcopal priest in 1831 and worked his way up in the church hierarchy to become Bishop of Louisiana in 1841. Despite limited military experience, Polk was appointed a major general by his West Point classmate and Confederate president, Jefferson Davis, in 1861. This made him one of the most controversial leaders in the Confederate Army. Nevertheless, in 1862, he was promoted to lieutenant general. His relationship with other officers was often strained, if not adversarial, but he was always loved by his men. Polk often ministered to his troops, putting on his robes over his uniform.